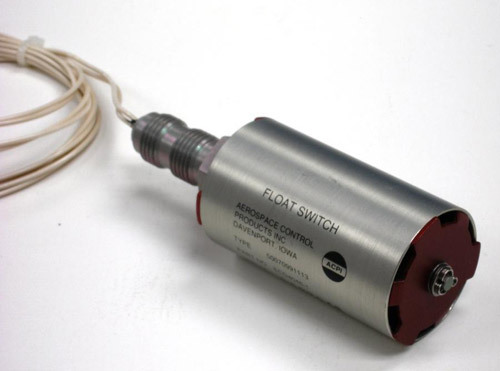 Aerospace Vertical Liquid Level Switches - Davenport, Iowa - Aerospace Control Products, Inc.
Aerospace Control Products, Inc. vertical float switches have been used in a wide variety of applications for over 45 years. 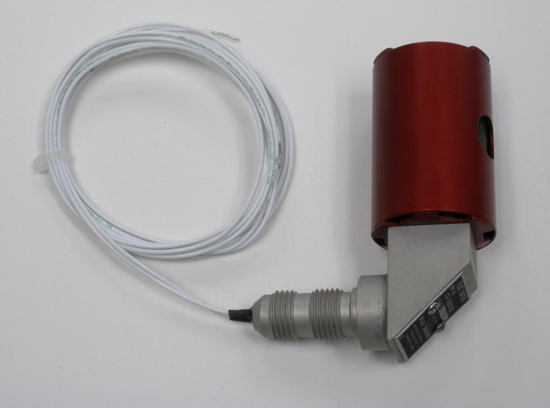 This product family includes approximately 50 variations of the basic design. Units can be specified with a single set point (N.O. or N.C.), or multiple switch points can be had. 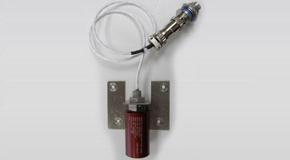 The single set point design incorporates a hermetically sealed reed switch encapsulated in an epoxy sealed cartridge. 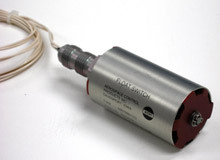 A closed cell Nitrile foam float (a metal float is optional) with an embedded magnet moves with liquid level changes, actuating the switch at the desired set point. 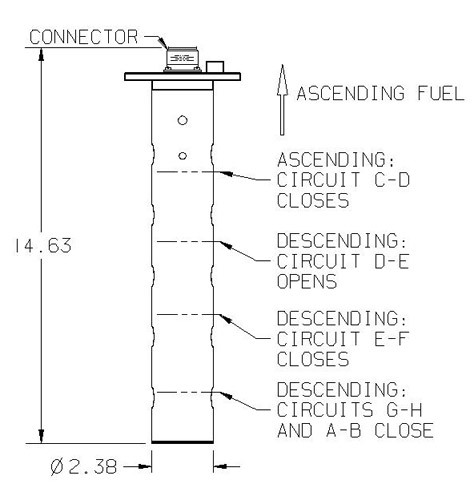 The multiple switch device has multiple reeds, and may employ multiple floats as necessary. 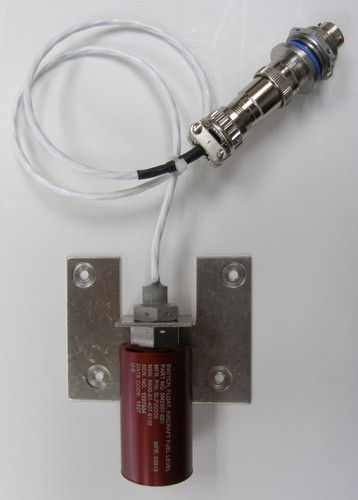 A cover and end plates surround the float, providing resistance to sloshing, thereby preventing false signals. 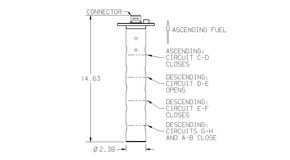 Options within this family of switches consist primarily of fluid types, actuation/reset settings, N.C. or N.O. 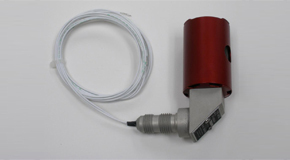 at null state, number of contacts, electrical current carrying capacity, mounting method, port size/type, and connector type/wire leads.